Lovely purse for coins and cards. 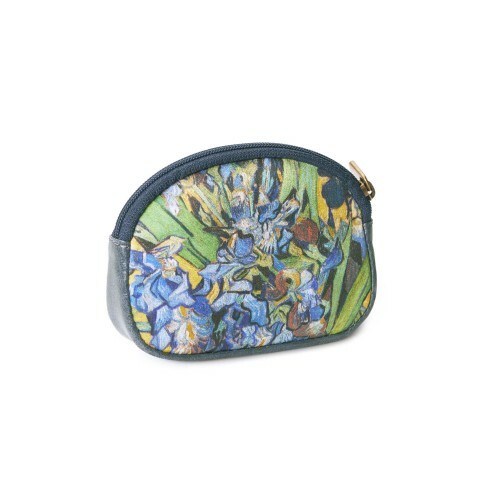 Made in a high quality silk fabric printed with the intense colors of Van Gogh's Irises. Finishing with leather details.Measurements: 11 x 8,5 x 2,5 cm.